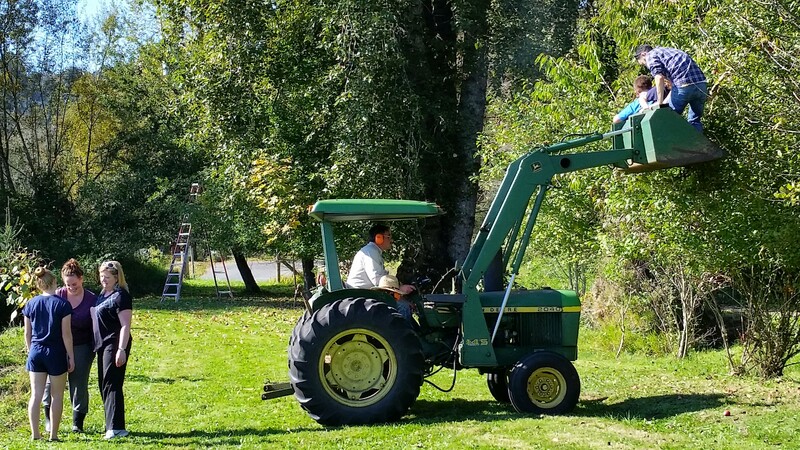 Now this is the way to spend a beautiful fall day in the Pacific NW! 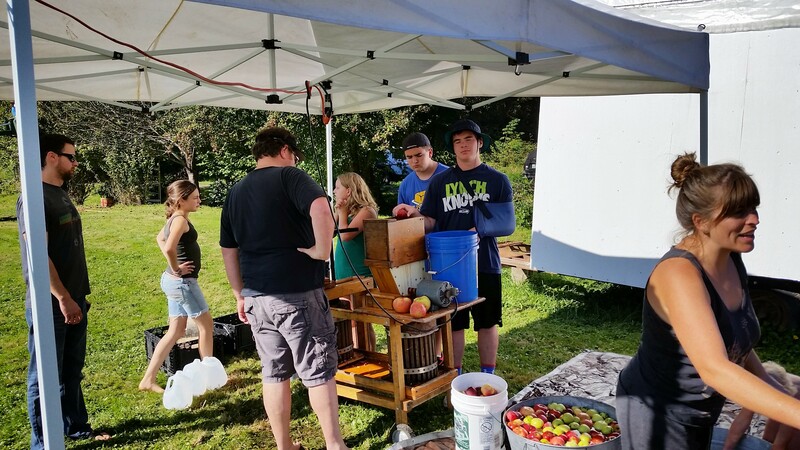 We were blessed to be included in a cider pressing with this year’s bumper crop of apples. 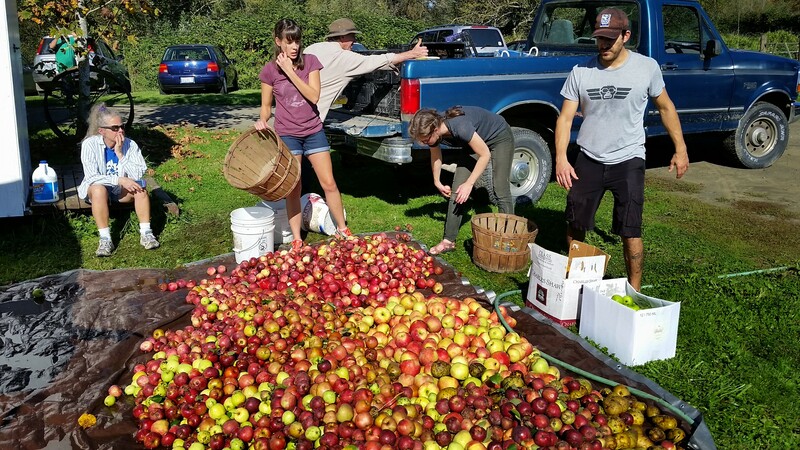 Apples picked by hand, branches shaken and the tractor also getting in the act, brought down enough apples to net 58 gallons of cider! Young and old, we got in the act. Everyone brought some food to share and/or cook so after the apples were pressed, we ate well. The menu included brats, ribs, a couple of soups, Swiss Chard, stuffed bacon-wrapped peppers and much more. I wish I had more to say…but it was just so peaceful. It felt right. It was fun. 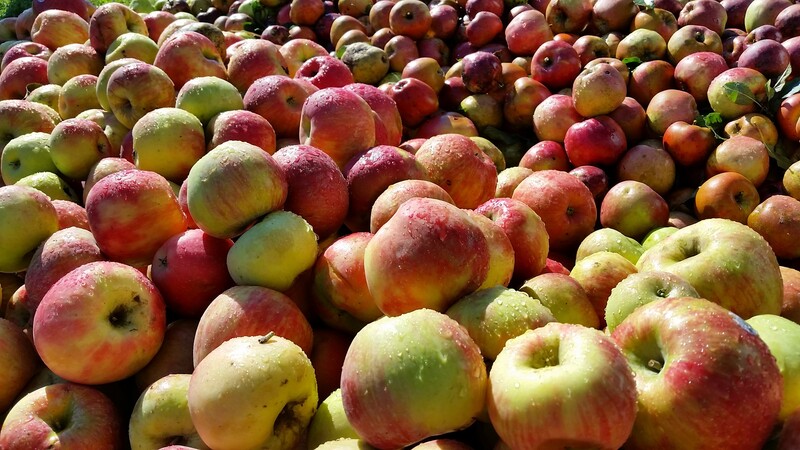 Have a lot of cider and love the hard stuff? How about these recipes with Applejack? Oct11 Thanks Cathi! 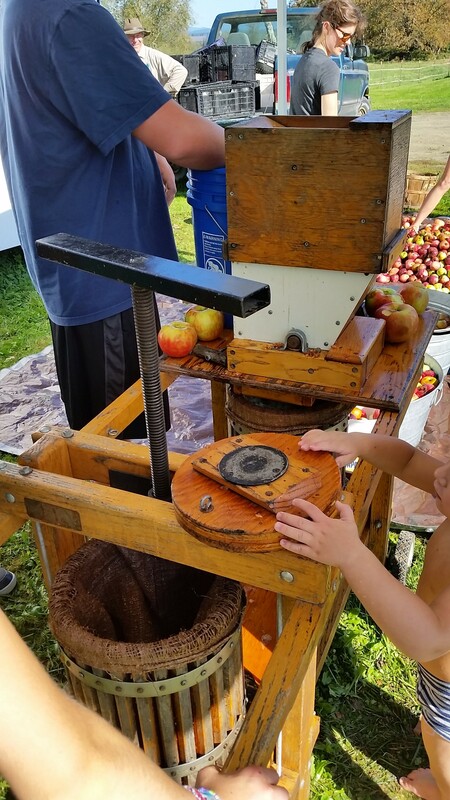 Our kids and nieces had such a great time maknig cider at Mom-Mom and Pop-Pop’s house. I would highly recommend it!